If you cannot make creative, professional photos with a 50mm lens and whatever camera you already own, where you live right now, then just stop, stop, stop, stop! Stop spending money on expensive lenses and cameras. Stop dreaming about or actually traveling to exotic location(s) to capture great photos. Stop thinking that the next workshop you go to will teach you the “secret” to great photography. Just stop. You are only deluding yourself and you are wasting your money. If you want to become a great photographer, and I mean you REALLY want it, then shoot with a 50mm. That’s it! Oh yeah, then shoot some more. Then some more. Then go out and shoot a gob more until you “see” and can produce great photos. Once you can do that then it won’t matter what lens you use. Let’s get something straight right now. I am not a minimalist. I believe in using the best tool/lens for the job. Like many photographers I own and use a variety of lenses. However, I learned through my own experience that if I can’t get professional photos with a $150 50mm lens, I won’t be able to with a $15,000 “professional” lens. But I will have an emptier bank account. Some more pure truth: the single worst thing that camera makers ever did in the history of photography was to replace the 50mm kit lens with a crappy but similarly priced short zoom lens. I’m talking about you Nikon, and Canon, and Pentax, and Minolta (when they were around) and everyone else. They did it so they could make more money with a higher profit margin. When they did, metal parts and high quality fast/sharp glass were replaced with plastic parts and slow, slow, slow crappy glass (plastic) or whatever they use. If you truly want your photography to improve, then get and use a 50mm lens. If you must have that expensive f/1.4 or f/1.2 lens, fine, whatever. But the truth is that you don’t need it. For around $200 new or around $125 used you can buy a high quality, well built, razor sharp f/1.8 50mm lens. I own and have used a f/1.4 “pro” lens. I wish I’d never bought it. It was used and was a good deal so I gave in and bought it. I already owned a f/1.8 that I love but I was seduced and I bought that f/1.4, which I’ve tried to love over and over again but now never use because of its empty promise of greatness. The only reason I still own it is because I’ve been too lazy to get it listed for sale. So it sits in a camera bag somewhere and does virtually nothing. Now, my 50mm f/1.8 I use often. Everytime I look through the camera with this lens on it I fall in love all over again. Another really, really good option, is to get a camera with a permanent fixed focal length lens. 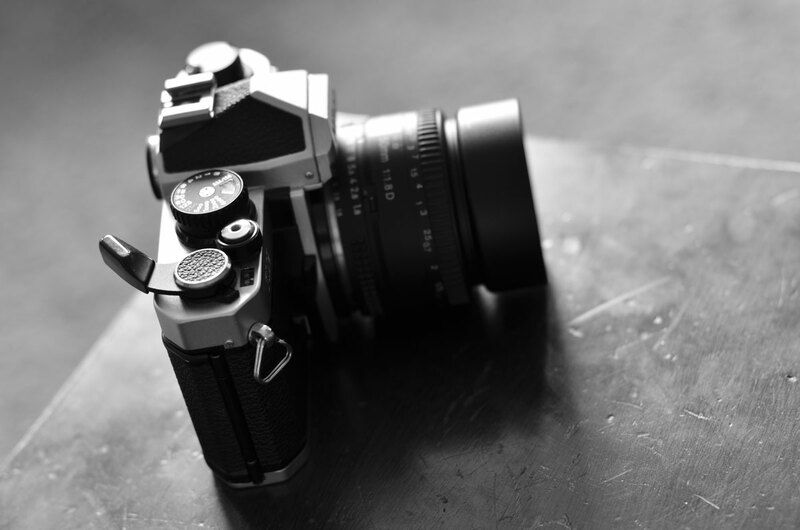 My current favorite is the Fuji X100s, with the 23mm f/2 fixed lens. This is about a 35mm equivalent due to the APS-C sensor size. This camera and lens combination is bordering on genius. The super high quality sensor and lens are the ultimate in quiet, sharp blissfulness. No empty promises here. So, if you really, really, REALLY want to become a better photographer, then dump your “kit” zoom lens, get yourself a 50mm or other reasonable single focal length lens and then shoot, shoot, and shoot some more. Just like me, you will see immediate and drastic improvement. I agree. Great post. The 50mm is where it’s at. Zoom with your feet. I’ve been in the position where I had to sell everything but my 50mm and I still managed – weddings, portraits, clients. No one knew otherwise. Thanks for your comment Adam. You are so right! When I worked for a newspaper, the most talented photographer we had pretty much used only a 50mm lens. That and an amazing eye. How long have you been on WordPress? The 50mm is my favorite lens. It can do so much!